More than 500,000 hearings each year appear before an administrative judge to appeal Social Security Administration disability claim denials in more than 130 hearing offices around the United States. Using plain and clear language, you will be guided step-by-step through the appeals claim process beginning with the basics of the Social Security Administration and judicial law through terminology, definitions, and the processes themselves. 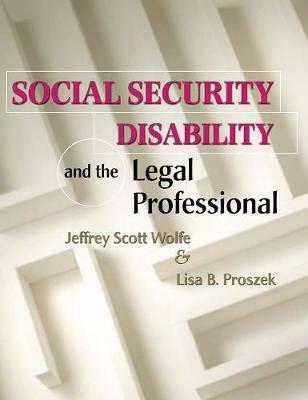 Whether you are a legal professional new to this type of practice, or a claimant, you will find this an invaluable guide to the Five Step Sequential Evaluation Process as well as key laws related to Social Security Disability claims.